Sprint races are not always merely a short trip to victory. This is something that Antonie Marx found out first hand on Saturday, September 15. 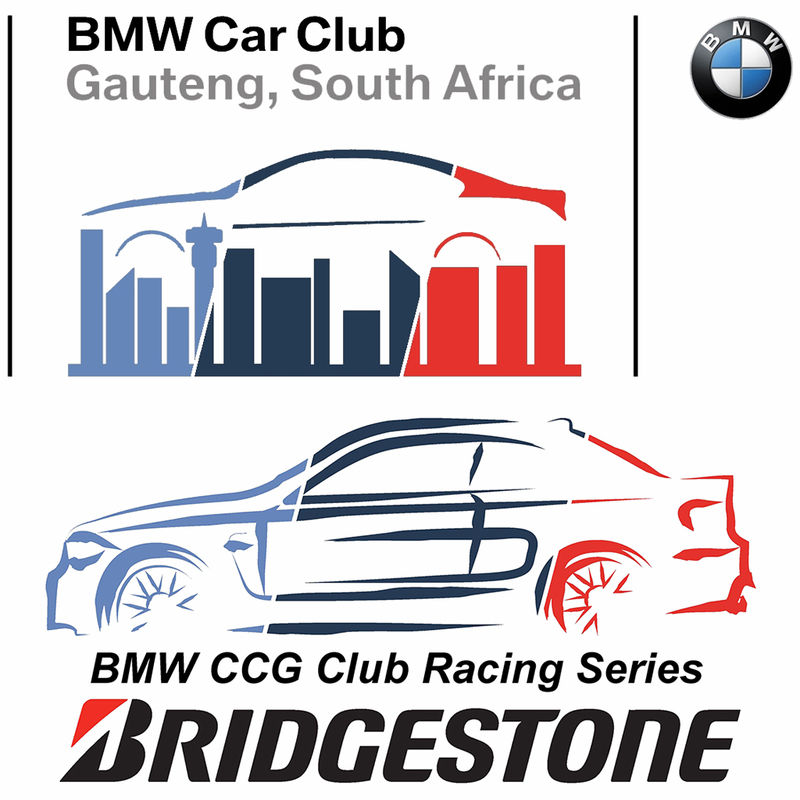 A victory and second place during Round 6 of the 2018 Bridgestone BMW Club Racing Series comes with a story of hard work and him nearly not even lining up on the grid at the Phakisa Freeway. 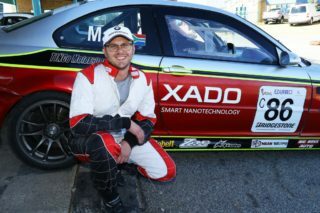 Leading both the Class C and overall championships heading into the round, Marx was eager to maintain his grip on the season. This was however not the only motivation for him to do well on the weekend. During Friday morning he announced the revelation of big news to follow during the weekend on his official Facebook page http://www.facebook.com/AntonieMarxRacing. The announcement that followed saw Marx announcing a new sponsor for the remainder of the 2018 season. 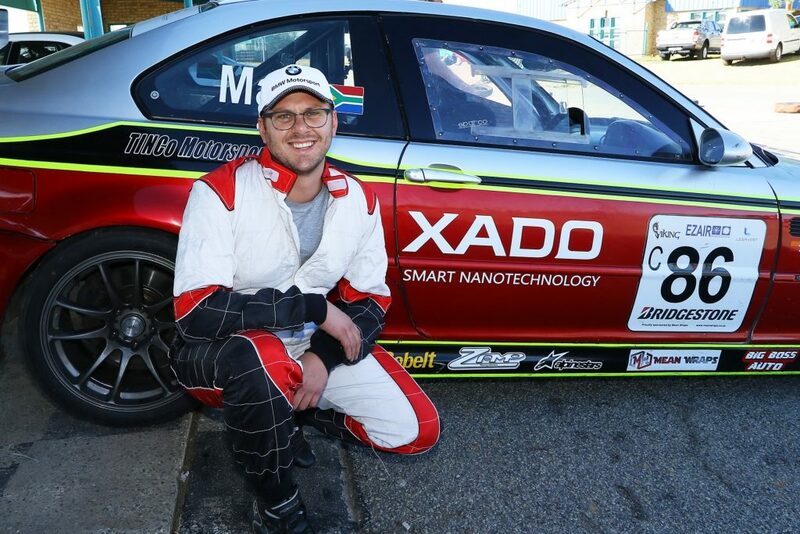 Xado Smart Nanotechnology have taken up title sponsorship of his BMW M3. With a host of products designed to save fuel, reduce emissions and improve performance as well as a proven track record in world rallying, Marx is confident that this partnership will be a strong edge for his title hopes. Prior to sponsor announcements and podium finishes, there was however another problem that needed to be resolved swiftly. During Friday morning’s first practice session his car’s engine failed. 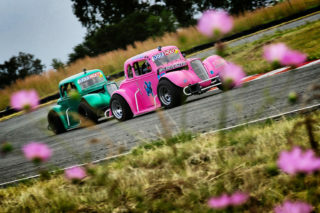 Fortunately, TiNCo Motorsport is based in Bloemfontein, but that meant a 300 km round trip with race car in-tow to assemble, tune and fit a new engine while still making it back in time for qualifying; all in the space of 22 hours. Giving up was however never on the cards and the team took up this challenge. With very little sleep Marx made it back in time for the Saturday morning’s qualifying session. With the new engine still being run-in during the session, Marx secured sixth place on the Class C grid ahead of the first race. 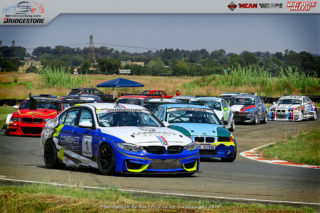 Realising the importance of a strong points finish and while still not matching the straight-line power of the previous unit, he drove a well-controlled race to finish in second position in Class C following an entertaining tussle with winner Shane Grobler during the final stages. 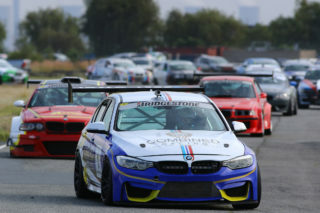 The afternoon’s second race saw the category sharing the track with the G&H Extreme Supercars category. This was pre-arranged due to the number of categories that had to be accommodated for on the Extreme Festival line-up for the day. 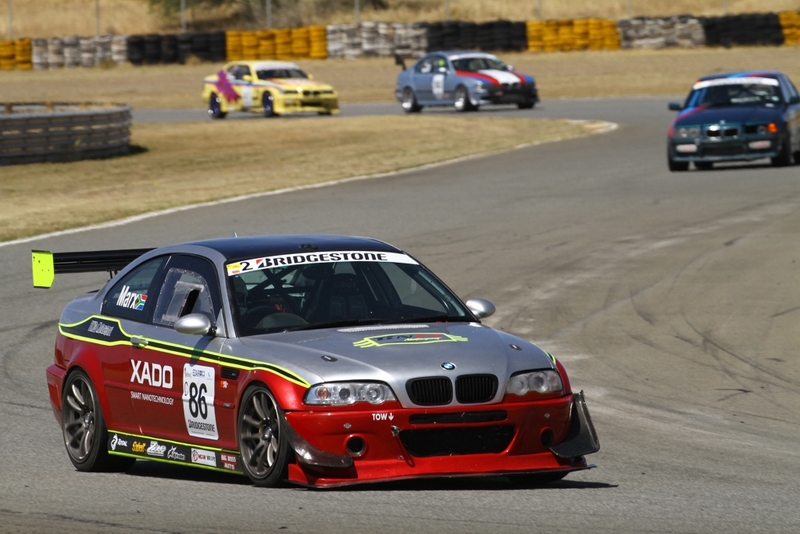 The reverse-grid for the second race saw Marx again lining up in sixth position in the class. Again, he gradually made his way to the front during the opening stages after which he resumed his battle with Grobler. This time however it was Marx who emerged victorious. In addition, he would also like to thank the associate sponsors of the Bridgestone BMW Club Racing Series for making this exciting category possible: Lesavert, Viking, Mean Wraps and Big Boss Auto.